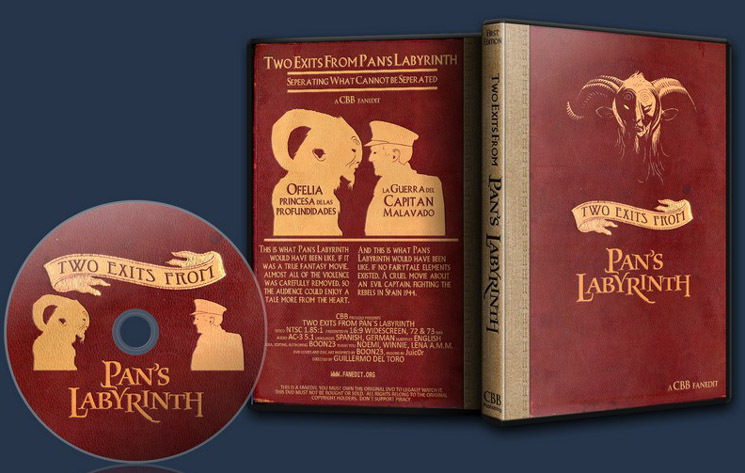 This separates PAN’S LABYRINTH into two different movies. One is the fantasy edition without the rebellion drama. The other one is the rebellion drama without any fantasy. 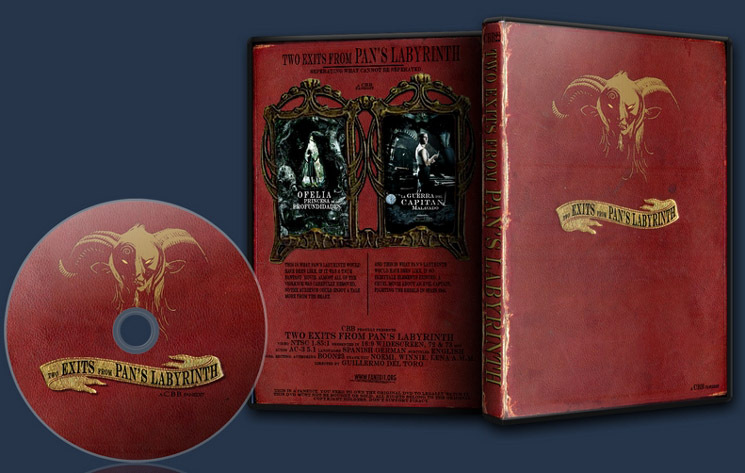 Pan’s Labyrinth was THE surprise of the year 2006. It won 3 academy awards for its stunning effects and the incredible atmosphere. Like in one of his previous movies (The Devil’s Backbone) Guillermo Del Toro combined a fantasy story with real events in Spain during the fascist era, thus creating an incredible mix of plot. And once again the intention was to combine real horror with fantasy horror, where the audience had to find out that nothing is more terrifying than reality. 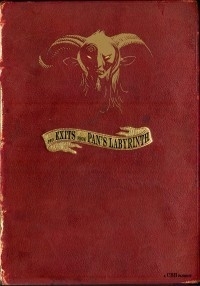 But as in the predecessor, Pan’s Labyrinth’s shocking reality elements also distracted from a great fantasy story. The amount of cruelty and violence was too much for lots of people, who otherwise might have watched the best fantasy or dark fairy tale movie in years. Twistd101 came up with the idea to get rid of the shocking reality bits and create a fairy tale version with an all working plot. However, since the two elements are deeply interconnected, he was not able to separate one from the other. So I took the challenge and picked up his wonderful concept to finally get to see Pan’S Labyrinth in the way I could rather bear it, focusing only on Ofelia’s way to become the lost daughter of the underground king. It was very tough work and it required lots and lots of creative decisions and re-arrangements to get a working, flowing and for the audience convincing plot, when so many events were missing. But I was successful. And while I was working on “OFELIA PRINCESA DE LAS PROFUNDIDADES” (Ofelia, princess of the underworld), I thought, why not also instead of adding deleted scenes to the final DVD, create a movie only based on the real events too. So that is what I did, and the second movie “LA GUERRA DEL CAPITAN MALVADO” (A dark hearted captain’s war) was no easier than the first one. The result are two very different movies, both taken from the same source, the first one a little creepy fairy tale movie, and the second one a cruel war drama. OFELAI PRINCESA DEL MUNDO is the fantasy edit of PAN’S LABYRINTH. It contains almost none of the reality horrors of the original movie and tells the story of little Ofelia, who discovers that she is the lost daughter to the king of the underground empire, not human, but captured in a human body. To return to her father she must fulfill 3 dangerous tasks, given to her by an old and mysterious pan. Her life will depend on her making the right choices and getting along in a real world that is all not supportive. This version is IMO suitable for kids aged 12 or older. Still it contains elements of horror and drama that might be hard to take for sensitive kids. Parental guidances is advised. LA GUERRA DEL CAPITAN MALVADO is the reality edit of PAN’S LABYRINTH. It contains none of the fantasy elements and is the story of young Ofelia arriving at her new home in Spain 1944, a time when rebels were fighting the fascist regime. Her new father is the captain of a small group of soldiers defending the regime with sadistic brutality. It will be very hard for Ofelia to cope with all that happens around her. This version is IMO not suitable for kids at all, as it contains scenes of drastic violence and torture that should not be shown to children. - I had to edit lots and lots and even some more scenes to make this edit work. Several scenes are completely re-scored, with all new sound effects, just to support the plot or better fit in. Creating a movie like it was NOT intended by the original script and proved to be a tough one. - Ofelia walks to the tree: In these scene the soldiers are exploring a rebel camp in the woods. Meanwhile little Ofelia is walking to the tree with the toad, reading the text aloud that guides her. Now she is reading the text, even when the riders are shown. But in this version there are no riders, so I had to rearrange the text she speaks to get rid of the scene and have it still make sense. Tough one. - Mercedes sings the lullaby: Ofelia is banned to her own room, because her mother is so sick. When Mercedes works in her room, they are talking about the rebels and then she sings the lullaby. Now I wanted the lullaby by all means, but the rebel talk not. The cut is a bit rough, but it works. - The kidnapping of the brother: Everything that lead to Ofelia being locked up in her room is gone. Mercedes does not take her with her, they are not captured, Ofelia is just sitting in her room at night, when the pan enters again to grant her a last chance. While this was rather easy, the following was all not. In the original movie the captain tries to torture Mercedes and she attacks him with a knife and hurts him badly in his chest, in his back and especially in his face. Now there was no way to include these ultra violent scenes, including the captain stitching up his cut mouth, BUT I needed him hurt, because that is how he discovers Ofelia and that is how he follows her. What I did was to start the attack of the rebels early, most of all just hearable when Ofelia gets her brother. The scene works very well and you exactly know, how the captain got hurt in the attack. Very tough one. - There are lots and lots of other cuts, audio transitions, replaced audio to fit the plot. the result is a rather well working fantasy edition, which I hope the audience can truly enjoy. Kids that are allowed to watch the Harry Potter movies may watch that one too. It’s creepy, it’s a bit violent, but not too much to bear. - The amount of work was about the same as for the fantasy version. I had to re-arrange scenes, put a new score and new sound effects on plenty of scenes to get rid of the fairy tale plot and fairy tale atmosphere in the best possible way. The result is a rebellion drama without a real focus, because there is no true main actor. Still the events are a complete story that should be interesting to watch. - Ofelia puts the stone into the statue: in this scene Ofelia puts a stone into a statue and sees the fantasy insect for the first time. The entire scene is scored with a mystic music, which had to go. Now she sees the insect, but not close, and there is no music. - Ofelia enters the labyrinth: When Ofelia enters the labyrinth, the scene is heavily scored with mystic music, so that all of us know that something VERY special is there. But it is only a labyrinth now. I had to rescore the entire scene. - Ofelia reads a book in the bathroom: Now the book she reads there is THE magic book, but not in this movie. She just likes to read a lot and knows her mother disapproves to that. And when she looks at the mark on her shoulder, she just imagines to be a princess, but those are now the fantasies of a 10-years old girl and nothing more. - The blood of her mother: now in this scene, Ofelia’s mother cries for her help, when she starts bleeding. Problem is, that Ofelia is reading the magic book and the book shows her the blood. Scenes had to be re-arranged and a lot of stuff and sound replaced or deleted to get this scene to work. Now Ofelia walks into the bathroom, starts reading, hears her mother cry for help and opens the door again to find her. - the mandrake root: In the original Ofelia gets the mandrake root to heal her mother. But there is no mandrake root in this edit. Now there is a scene in which she clearly holds the root in her hands, but let’s not forget that she is 10 years old and this might as well be a toy. It sure looks like a toy. It was pretty tough to get rid of most the sounds the mandrake root makes when Ofelia is under the bed and even this did not work 100%. But since there are several people in the room with her, the strange sound could be caused by a lot of natural things. - the labor scene: when Ofelia’s mother goes into labor, she first burns the mandrake root, after the captain has discovered it from under the bed. Now in this edit, as you know, there is no mandrake root. Still the labor had to start. Lots of scenes had to be rearranged or deleted and most of the sequence rescored to get this working. You can still hear the mandrake root screaming, but actually it is just a creepy sound supporting the terrible scene. - the chalk scene: now in the original the pan helps Ofelia to get out of her room and into the captain’s quarters using a magical piece of chalk, which the captain finds and starts searching the room for an intruder. In this edit, where there is neither the chalk, nor the pan, a lot had to be done to make this scene work. Now Ofelia is causing a noise to cause the captain to start looking for an intruder. Tricky. Of course there are lots and lots and even some more other cuts in this movie to help the flow of the plot. It worked rather well. Still there are a few rough spots and I myself find this version a bit cold, because it lacks scenes to sympathize with Ofelia, who in this edit is most of all a strange girl. Fantastic concept which is really interesting despite varying degrees of "working" for me. Of the two stories, the fantastical cut only works narratively if you're familiar with the original. And there were a couple shots (Mercedes grabbing the knife, for example) which stuck out as not belonging here. Conversely, the 'real life' version worked extremely well for me. It focuses on the themes of living up to heroism in a time with no war, which was among my favorites of the film itself. This edit doesn't do anything new, but it does break apart the themes of the theatrical cut into two, to good effect. Technically, couple awkward fades and a couple of flash subs, not perfect but nothing major.